Ever since the Atkins diet hit the new a couple of decades ago, people have been scared to eat foods with carbohydrates in them. Sure, eating simple carbs from bread, crackers, and all of those other types of foods is not good energy, but eating potatoes and other foods that are rich in complex carbohydrates is so good for your body. These foods rich in complex carbs make you feel energized throughout the day, as your body is able to fully use them as pure energy. Simple carbs, on the other hand, are basically there to just take of space in your stomach. You barely get any nutrients from them. Take the bagel for instance: it’s a delicious breakfast, but you’re likely to be just as tired after eating it than when you started. That’s because you didn’t get any proper fuel from that bagel, even if there was cream cheese on it. 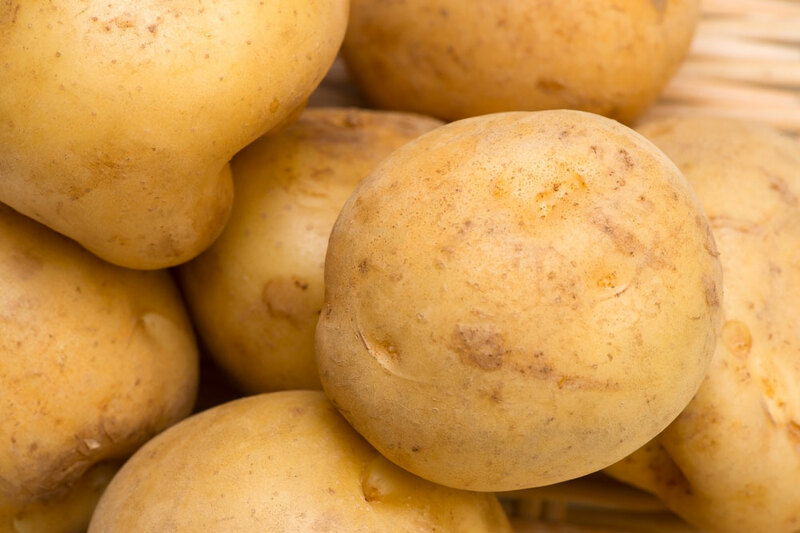 So why should you be eating potatoes every day? Or even other natural foods that are high in carbs? The Atkins diet doesn’t tell you this, but you need carbs to stay alive and live healthy! People cut out carbs completely, and then wonder why they feel so tired all the time and wonder why they feel like they’re dying. That’s because your body isn’t getting a well-rounded nutrient blend, dummy! You really need carbs to be healthy, but you also need them to stave off the inevitable tiredness you’ll feel. And no, pasta is not a complex carb! They’re simple carbs! This is another reason why you should be eating potatoes, and even other forms of complex carbs. Potatoes are amazingly easy to make, and they’re super high in nutrients. Plus, you can never get bored of them. There are so many ways to make potatoes. Such as: fry them, grill them, stuff them with cheese, and so on. If you get bored of one type, there are plenty of other types to choose from. If you’re making a fish dinner, you can slap some asparagus on the plate with a potato. If you’re making a solid chicken dinner with some broccoli? You can make a potato with that. If you’re making a steak with rice? Yep, potato! Plus, they’re really cheap to buy in bulk, even if you buy organic ones. I believe it was only $5 for a whole bag of them. That’s a whole week! Potatoes are the building block of any healthy diet. You need them to survive, but you also need them for energy. They’re cheap, full of nutrients, easy to make, and you can eat them a hundred different ways. How Do I Not Feel Tired in the Morning? California Exotic Novelties Up! Review – Does it Work?